This story appears in the Spring 2018 issue of Sports Spectrum Magazine, which will hit mailboxes March 19. Support our ministry and subscribe here. 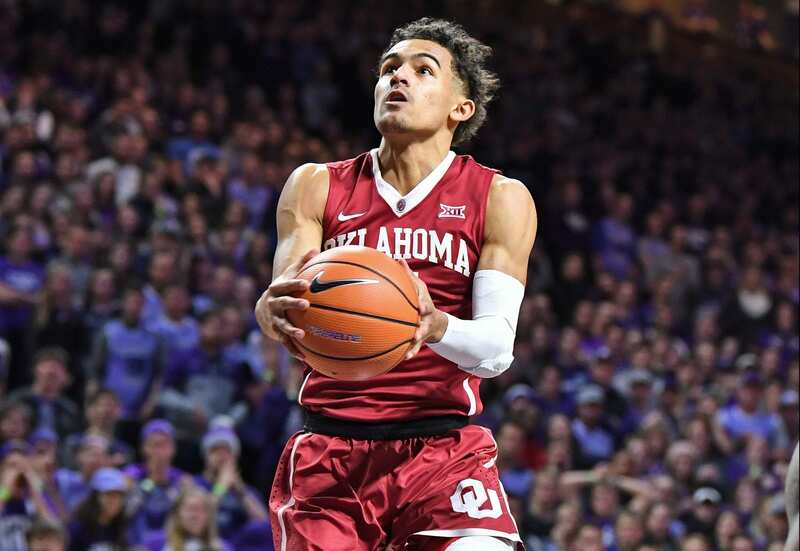 When Oklahoma Sooners star guard Trae Young steps on the court, he’s likely to have a jaw-dropping moment that will have him as a trending topic. Whether he’s launching 3-pointers from Steph Curry range or threading assists like Pistol Pete Maravich, he’s a walking highlight terrorizing defenses. Young finished the regular season No. 1 in points (27.4) and assists (8.8), becoming the first player in Division I history to lead the nation in both categories for a single season. Taking the basketball world by storm, the 6-foot-2 freshman dropped 43 points against Oregon in the fifth game of the season. Overall, he had four 40-point games on the year, tied the NCAA record for the most assists in a game with 22 against Northwestern St., became the first player in 20 years to have a 20-point and 20-assist game, and led the Sooners to wins over top-10 teams Wichita State, Kansas, TCU and Texas Tech. Last season, the Sooners won only 11 games. With Young, they surpassed that mark three days after the New Year racing out to a 12-1 start, aided by a 10-game winning streak. Young is an elite shooter with range extending several feet behind the NBA’s 3-point line. He has the speed to breeze past defenders for easy shots at the rim, or stop on a dime and knock down jumpers with ease. He’s also a good passer who’s able to bring out the best in his teammates. But for all his offensive greatness, he does have a glaring weakness: turnovers. Young averages five turnovers per game, one of the highest in college basketball. Despite that issue, he looks to mirror his game after two-time NBA MVP Steve Nash. You can say Young was destined to star in crimson red and white since day one. Growing up 15 minutes from campus in Norman, he became Oklahoma’s ball boy, befriending guys like Blake Griffin from 2006-08. After that stint, he hung around the program, and as his game evolved, he was offered a scholarship when he was a sophomore in high school. Averaging 42.6 points, 4.1 assists and 5.8 rebounds during his senior year at Norman North High School, Young was recruited by Duke, Kansas and Kentucky, but he decided to stay close to home. The oldest of four, Young is following in the footsteps of his father, Rayford Young, who once scored 41 points for Texas Tech in an upset win against Kansas in 1999. Every weekend for Young follows the same routine: He joins his family for Sunday service at Victory Family Church in Norman, followed by lunch. The weekly routine is a part of his mother Candice Young’s plan to keep her family grounded in their faith. And no matter where Young goes in the upcoming NBA Draft — if he leaves after this season — missing church isn’t an option. It’s that foundation that is giving Oklahoma fans hope of going deep in the NCAA Tournament, and also keeping the Wooden Award candidate focused on his faith, family and hoops.